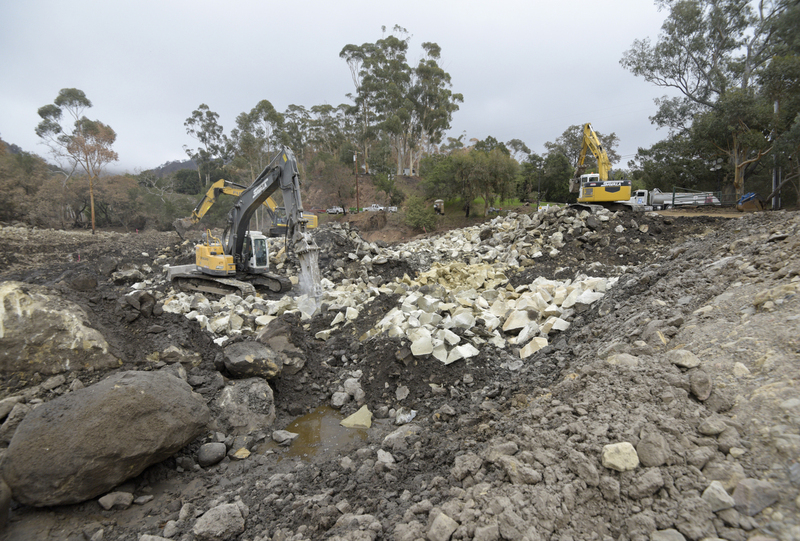 Excessive boulders and sediment piled up in the wake of Montecito’s January 9 Debris Flow can be listed at Santa Barbara County’s new Free Natural Materials Exchange. The program, established by the Public Works Department, aims to “facilitate the sharing of usable materials and limit the amount of debris heading to area landfills,” according to the website. “By using this site, homeowners and contractors can connect directly with Montecito residents who have materials on their property that they need to remove. The listed materials are free of charge.” For more information visit sbcountymaterialexchange.com.